You know what? Turkey gets a bad rap. But there’s one thing that we can’t accuse them of, and that’s being chicken. Pause for applause. Which is to say that they adequately protect our chicken from the deadliest urban predator known to Western society: The food delivery dude. 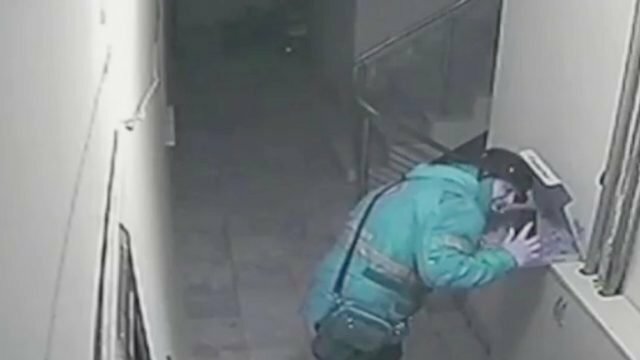 Over in the Bosphorus, one delivery dude is facing an extraordinary 15 years in jail after he was allegedly caught on camera spitting on to a customer’s order. The eponymous loogie hocker, known only as “Burak S”, was filmed by CCTV, but also his own mobile phone, as the footage clearly shows him filming himself doing the act in question. Burak insists he was only checking to see if the pizza was damaged. In Turkey, the punishment oscillates between a punishment of two and fifteen years. On a logical level, it seems extreme. But is it unreasonable? Maybe. Maybe…we should bring that punishment to these shores. We’ve recently endured the story of the Uber Eats guy who ate some of the chips he was delivering in an uber bold fashion, and the similarly viral application of spittle and pizza over in America. Now, I’m not saying that we should remove the freedom of every person who dares break the stapled brown bag of trust, but I’m merely suggesting that we do it once. All it’d take is one individual tried under the new uber strict laws for it to work as an effective deterrent. The borders of our boxes and bags need protection, y’know?